All of these towel toppers were crocheted using the waffle towel topper pattern. 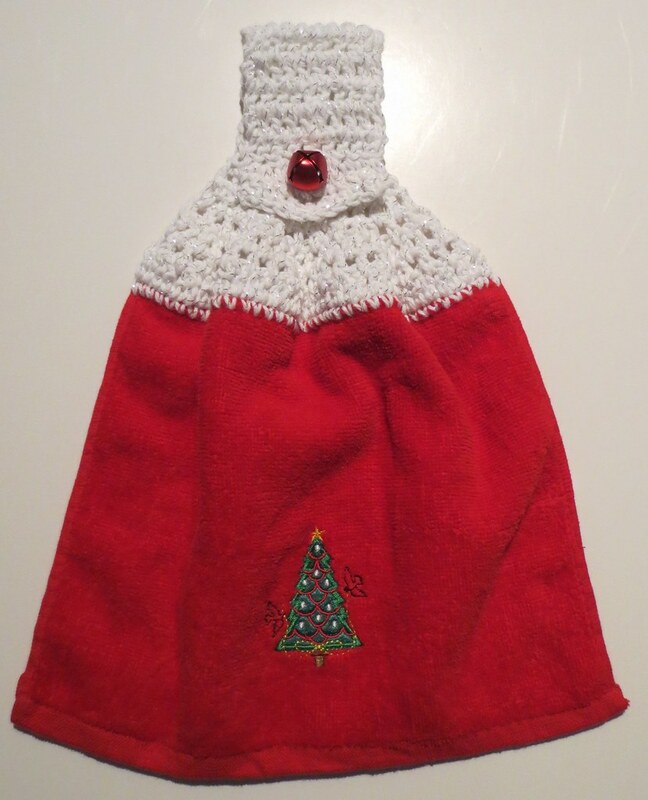 The red Christmas tree towel is a smaller novelty towel that I bought for 80 cents each. 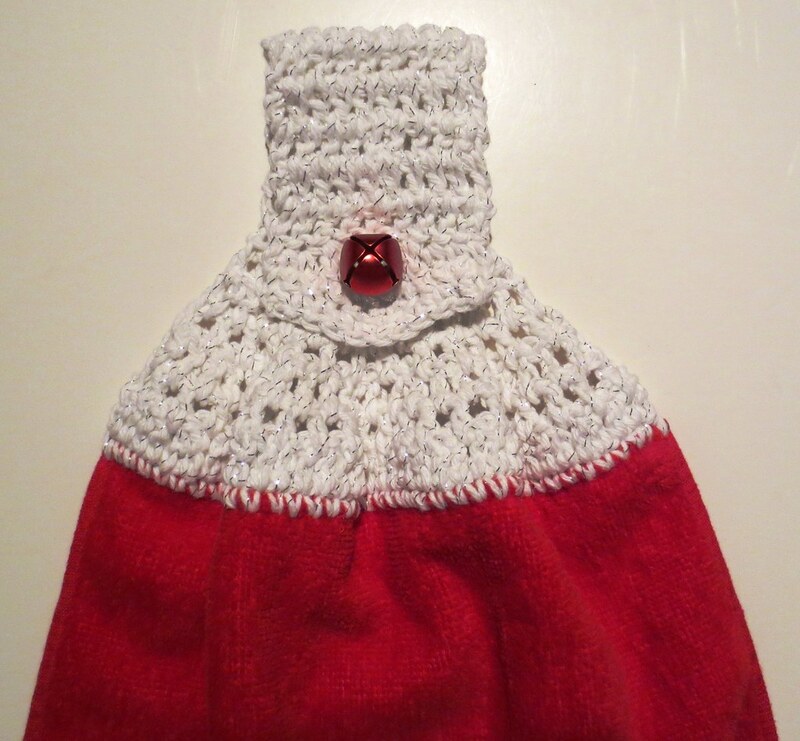 Just fold the towel in half and start crocheting along the top with some cotton yarn. Or you can use whatever type of yarn you have on hand. I added a 3/4 inch jingle bell for a button holder on each of these first two towel toppers shown. 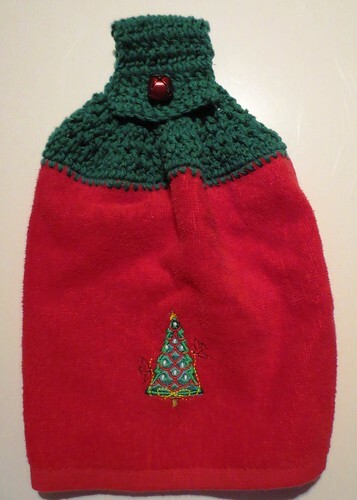 One more using the same little Christmas towel along with forest green cotton for the towel topper. 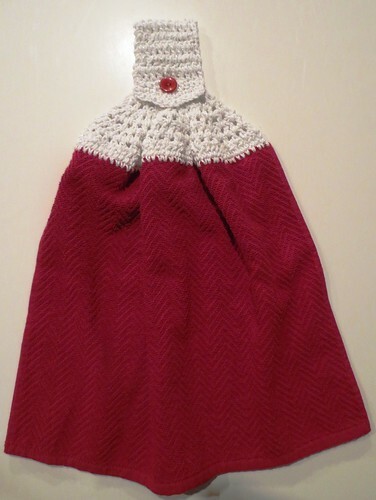 And finally one full size kitchen towel crocheted using the same waffle towel topper pattern. So if you are looking for a quick and much-loved Christmas gift idea, consider crocheting a few of these towel toppers. They are said to be some of the most appreciated handmade gifts to receive over the holidays.